We appreciate your patience with inconveniences caused by Florida’s stormy summer weather. 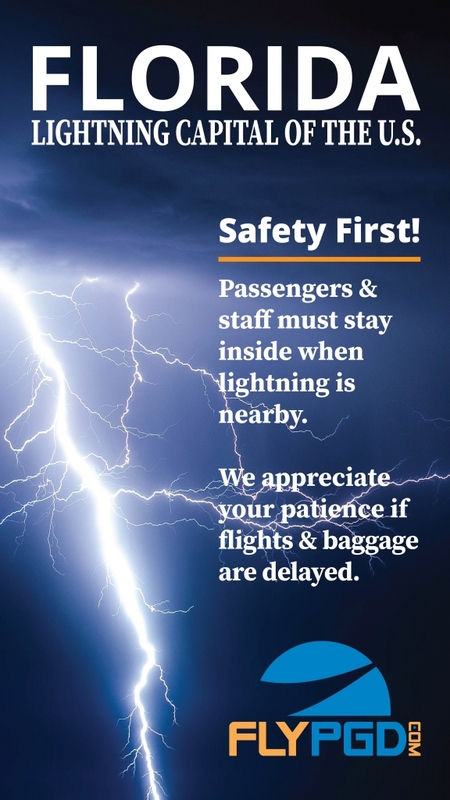 Allegiant’s Safety standards require that lightning within a five-mile radius subsides for 15 minutes before passengers, staff or crew begin the boarding or deplaning process. All personnel must vacate the ramp, cease airside ground activities and outdoor baggage handling while lightning is within a five-mile radius. Unfortunately, lightning in the area may lead to delays in flight arrivals, flight departures and delivery of baggage as well. Read answers to more Frequently Asked Questions.